Our artist-led team at IDEAS xLab is focused on leveraging the power of community creativity and culture to transform people’s lives. 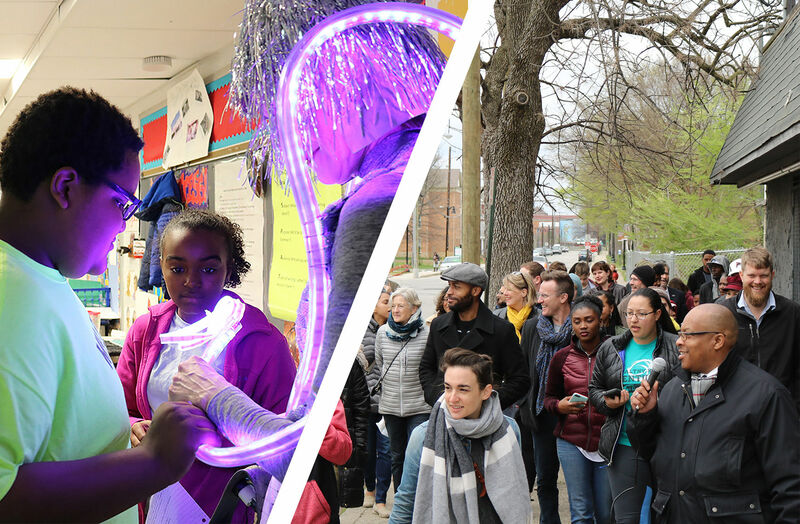 Taking an approach grounded in culture, and fueled by the arts, we currently support community partners in 5 sites with coaching and technical assistance, unlocking HOPE through capacity and identity development, and cross-sector community engagement. Since our launch in late 2012, we’ve engaged over 80 artists and more than 10 public health researchers from 6 states and 5 countries. Partnering with WFPL News to create the Tough and Universal: Stories of Grit podcast, featuring first-person stories from people in our community who’ve overcome some significant challenges and thrived despite the odds. Visit our website to learn more about the impact of your contribution! IDEAS xLab has partnered with Give Lively to securely process your online donation. This transaction will appear on your credit card statement as "IDEAS xLab". This transaction is subject to Give Lively's Terms and Privacy.